Once you get into Rehabbing and Construction, How do you know how much that will cost? We're preparing our Tuesday, February 26, 2019 6:30 - 9pm meeting to cover ESTIMATING so you don't get caught short and/or Lose money if there's work to be done! Previous Meeting - January 29, 2019 Most of you Real Estate Investors know that THE best way to find Great Property Deals is Door Knocking, however it take a little gumption until you know the “best practices”. A couple of months ago we put a group together for this purpose, starting with 12 Peabody, MA Foreclosures. This turned into 30 more properties where the owners were interested in Selling. In addition to those 30, one of our members uncovered a potential Home Run, a Great Deal that turned into 3 Deals but because of the misunderstandings of How Probate Works the Deals were lost:-( After our expert Attorneys teach you How to Work in Probate this evening you will Never Again lose a Probate Deal! 6:00 Doors Open. 6:30 Register & Networking. Refreshments, Buy, Sell & Networking and Miele appliances demo. 7:30 Chris on why you may (and may not) want your LTC License To Carry a Handgun. He’s offering the 3 hour Mandatory LTC course to our Members for $20. $49 for non-members). 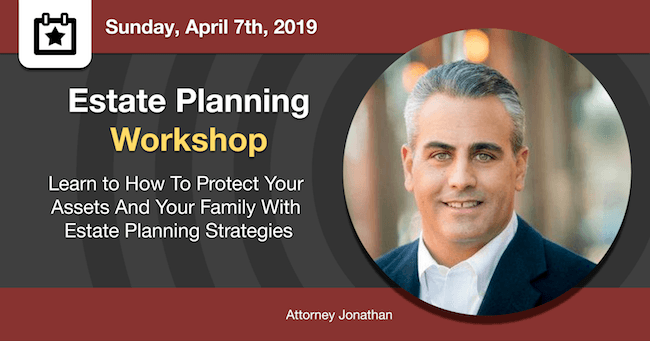 7:45 Review of the Door knocking system... Main Speakers Attorney David and Jonathan on How you can work with the Massachusetts Probate System. What’s a Will consist of and an Offer from these Attorneys to draft YOUR Will, should you decide you need one? 9:00 Recap and Adjourn. Landlords: Real Protect for insurance even when you're rehabbing. Investigative Screening to know who you're renting to. Rentals.com for finding the right Tenant. CashFlow Solutions to collect on bad checks. Investors:​ REIFA connects Funders and Investors. Local Market Monitor for Personal Investor Market Reports. BuildASign discounts on Retractable banners, yard signs and accessories. Contractors: Home Depot Pro Extra Loyalty Program - 2% cashback and 20% off Behr paint. Our growing network of members and attendees create the perfect environment to push your real estate investing business to the next level. Make sure you come to our next event and network with our experts. NewHampshireREIA.org does not give legal, tax, economic, or investment advice. NewHampshireREIA.org disclaims all liability for the action or inaction taken or not taken as a result of communications from or to its members, officers, directors, employees and contractors. Each person should consult their own counsel, accountant and other advisers as to legal, tax, economic, investment, and related matters concerning Real Estate and other investments. 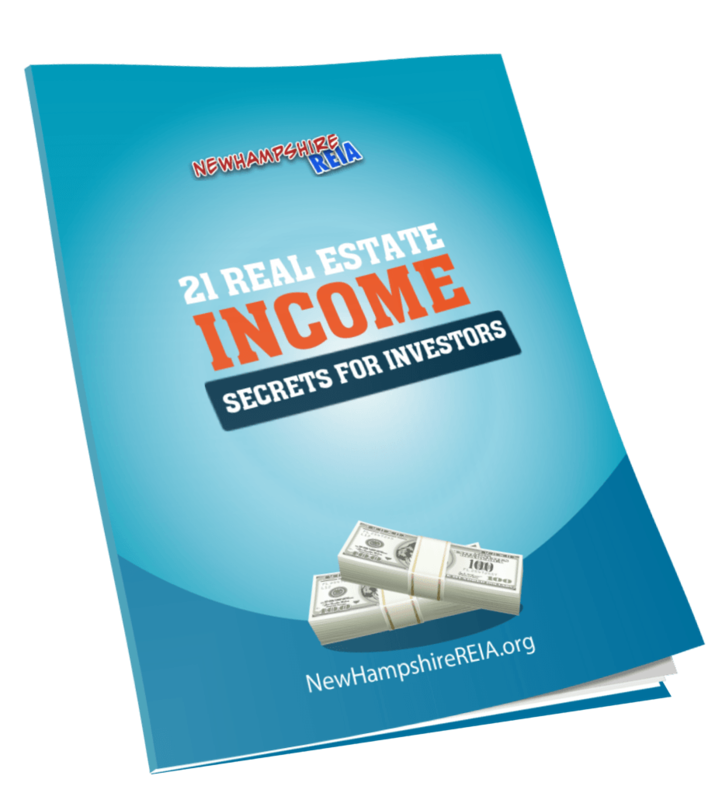 The Mission of NewHampshireREIA.org is to Provide Its Members the Education, Market Information, Support, and Networking Opportunities That Will Further our Member’s Ability to Successfully Invest, Manage & Build/Rehab Real Estate. No thanks, I don't need to increase my real estate business.